Once in a while I like to take old tissue boxes and make some sort of craft with the kids. If you've been following my blog for a while, you've seen us create rocket ships, fairy houses, and castles from old tissue boxes. 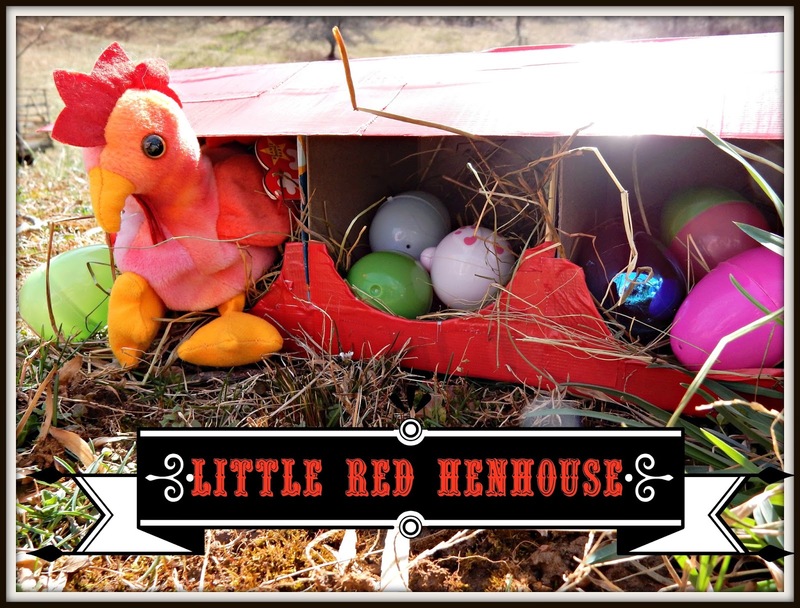 This year, to get ready for Easter, we made a little red hen house. You will need: 3 (or more) square shaped tissue boxes, additional cardboard (we used a Pepsi box), scissors, red duct tape, and craft glue. 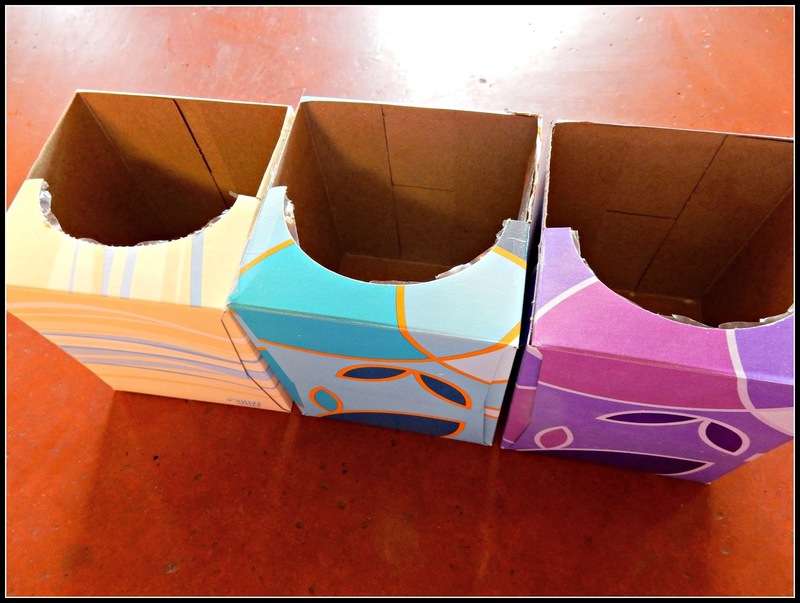 Trim the top of the tissue boxes to make the openings larger. Line up the tissue boxes and then tape them together using red duct tape (we found ours at Walmart, for just under $4). After you get the boxes all taped together, cut a piece of cardboard for the roof. 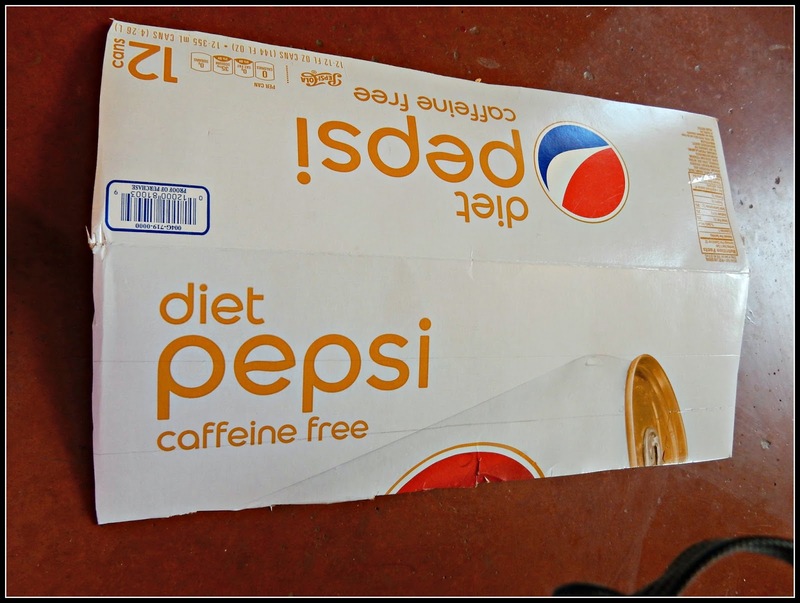 The Pepsi box worked well, because it already had a natural bend in the cardboard. Trim it to size, then cover with the red duct tape. Using craft glue, secure the roof to the body of the hen house. Let sit for several hours to adhere well. Fill with Easter grass (or hay, as we did) and Easter eggs. Have fun! 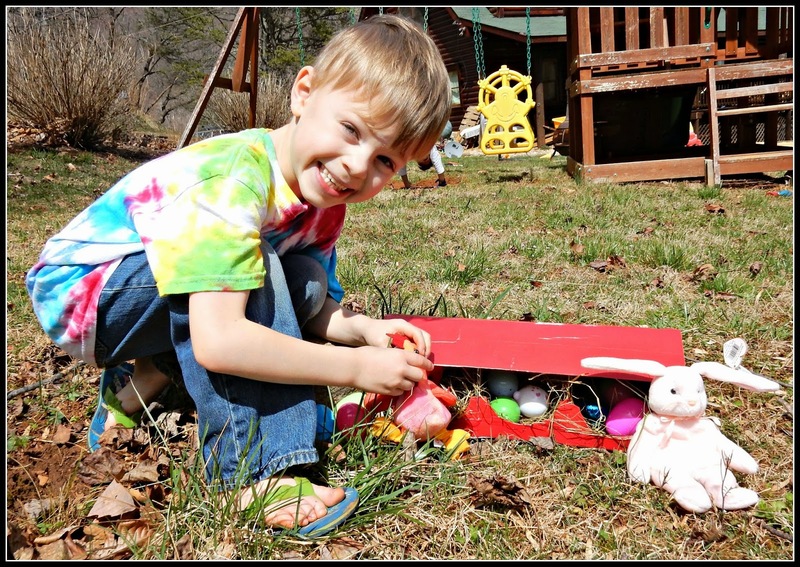 Readers, do you have any Easter egg hunts in your near future? I really love this creation! What fun! So creative! Must be so much fun. This is so cute! You've made such creative things out of tissue boxes, I think of you sometimes when I have an empty tissue box and wonder, what could I make with this? Oh my gosh, this is adorable!!! Will YOU be having an egg hunt? Or going to some place that does? I have an egg hunt every year! Now I have so many grandchildren, I think I am just giving them huge, heaping baskets that I have made up with toys and candy. When I was a child in the 1950's The Little Red Hen was one of the stories my mom read to me at bed time. Oh that's just really cute - and clever! You do such fun things with your boys. I admire you. Nice project! I don't think we'll do Easter eggs. Possibly I'll get my husband a piece of Easter candy. how fun! i still hide eggs! What a cute project. No hunts planned here. But hopefully some chocolate will turn up somewhere! Oh this will be a wonderful craft to do with wee Bay! We can't use real eggs, her younger sister is allergic to them, but plastic eggs decorated in washi tape would be just the thing! You are creative... that's for sure. That Little Red Henhouse is adoreable. I think your home would be like medicine to the soul. Just look at that happiness! Your crafts look pretty & colorful. They look so happy at all times. It must be lots of fun with the egg hunt. HAPPY EASTER TO YOU, FAMILY, LOVED ONES!